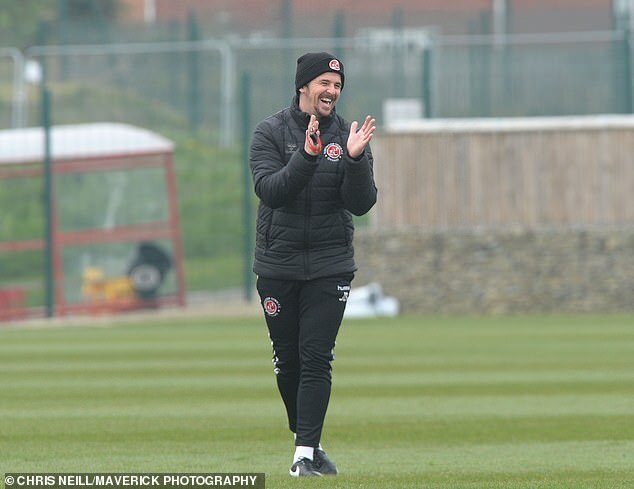 Controversy may be surrounding Joey Barton yet again, but the Fleetwood Town manager looked to be in a good mood as he took training on Tuesday. A club statement read: ‘Barnsley can confirm that it has lodged a formal complaint to both the EFL and the FA. 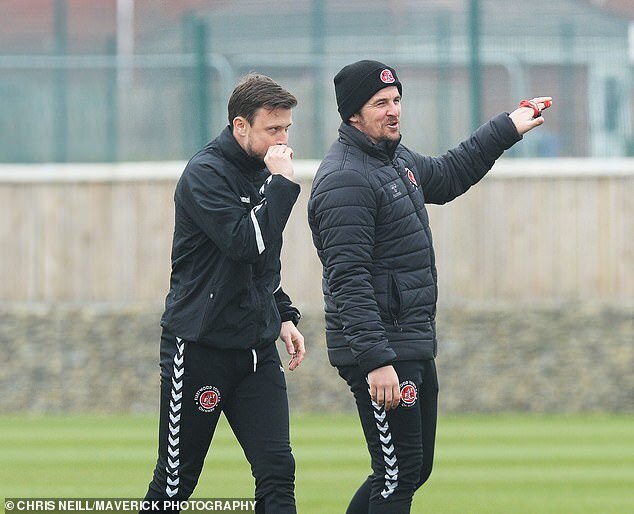 This is following an alleged incident at the conclusion of the match on Saturday 13th April between Joey Barton and Daniel Stendel. 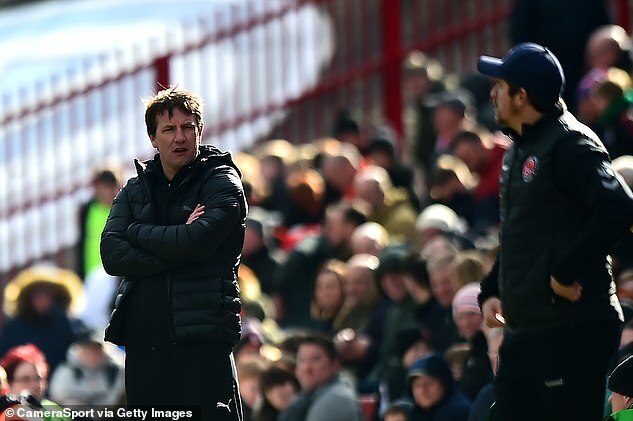 Stendel, 45, underwent emergency dental work after claims he was barged from behind by Barton in the tunnel at the end of Saturday’s clash.